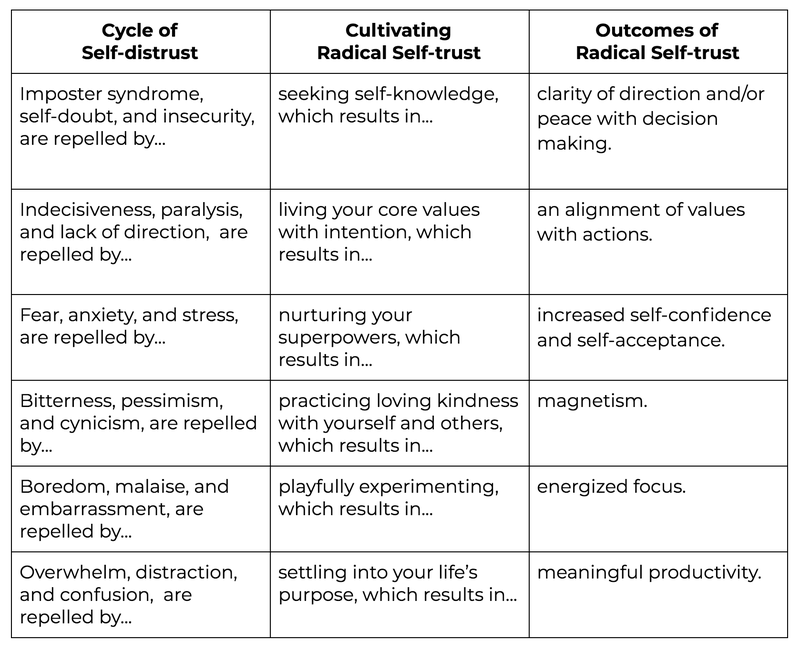 Over the past several months, I’ve been continuing to develop my concept of Radical Self-Trust (RST) and it’s been such a fun project. One of the most surprising elements of this reflective work has been the development of a personalized lexicon, or vocabulary, that I’ve created to help explain different aspects of this philosophy. By themselves, a lot of these words and phrases are nothing special. You’ve probably heard them all before. But when I put them together, they make up six different challenges that RST can help with, six different ways to cultivate RST, and six different benefits that are outcomes of practicing RST. Radical self-trust is one’s capacity for steadfast self-awareness and self-loyalty. Seeking self-knowledge, or deep reflection on your personality, core values, strengths, weaknesses, and life’s purpose. Living core values with intention, or the alignment of what you believe to be important with the actions that you take on a daily basis. Nurturing your superpowers, or purposefully investing in and honing your strengths so that they improve your life’s work and are noticeable to others. Practicing loving-kindness toward yourself and others, or having consideration and affection for yourself and those around you. Playfully experimenting, or taking calculated and creative risks in order to learn more about yourself and the world around you. Settling into your life’s purpose, or making a commitment to contribute to the world through your particular constellation of strengths and abilities. Clarity of direction and/or peace with decision making, or a strong sense that you are moving in the right direction even if an ultimate end point is unknown. An alignment of values with actions, or making values-based choices in your life and work. Increased self-confidence and self-acceptance, or a genuine appreciation of who you are and what you need. Magnetism, or a sense that people are attracted to you when you are enacting your best self and living your best life. Energized focus, or a motivational pull toward and momentum to complete the work you are meant to do. Meaningful productivity, or having a to-do list or taking action on tasks that are rooted in a larger purpose. 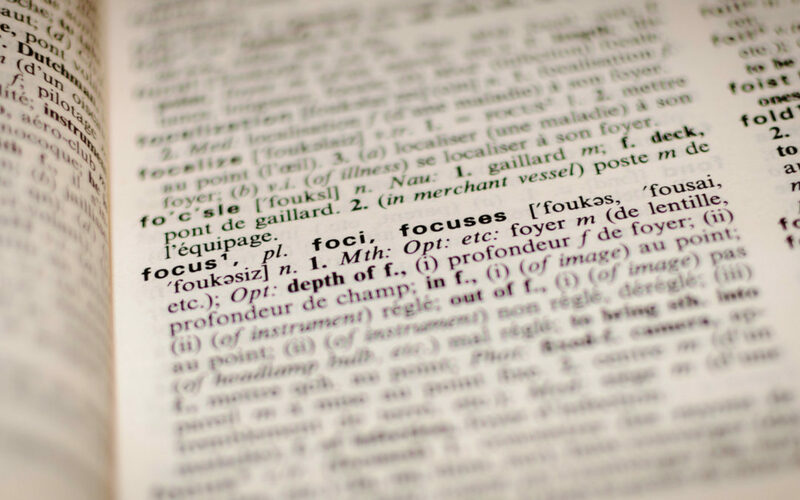 What’s words and phrases are in your personalized lexicon?